Claiming to be all nice and open is one thing, and letting anyone write an app for your platform and then make it available through said platform’s official marketplace is another. One thing they both potentially have in common though is the potential for security issues, and Android is beginning to see such issues crop up with alarming regularity. 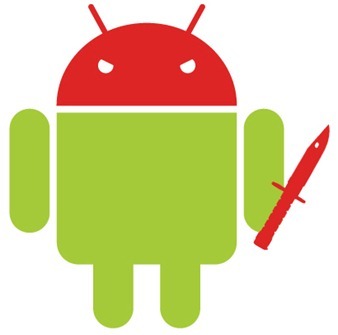 A new report from the Juniper Global Threat Center now claims that Android faced a 472% increase in malware threats since July – that’s in just four months! The reason for the massive increase in threats to Google’s mobile platform doesn’t take much hunting for. The lack of any kind of Android Market vetting process – the same process Apple is still attacked for implementing – means that anyone can put an app up for download via the official store front. The only barrier to entry is the $25 initial set up fee required by Google. It is perhaps expected that Android will continue to prove to be a pull for those looking to gain entry to users’ private data kept on an Android device, with Google announcing yesterday that they have now reached 200 million activated devices. A honey pot that large has to be a tempting proposition for those releasing malware onto the Market. The security concern also offers another reason to compare the iOS and Android battle with the Mac and PC one that rages during the late 1980s and 1990s, with Windows also proving to be the larger operating system as far as installed base is concerned, but also suffering a surge in security issues which, to this day, still isn’t as big a concern for the underdog that is Apple’s Mac. The report’s authors stopped short of suggesting that iOS was more secure than Android, but did suggest that the verification of apps is of benefit from a security standpoint. Android’s open applications store model, which lacks code signing and an application review process that Apple requires, makes it easy for attackers to distribute their malware. With Android appearing on more and more tablets and smartphones, security is only going to become more of an issue for Google, and with the slow update process thanks to carrier and OEM meddling, the search and mobile giant may find it harder than some to keep up.